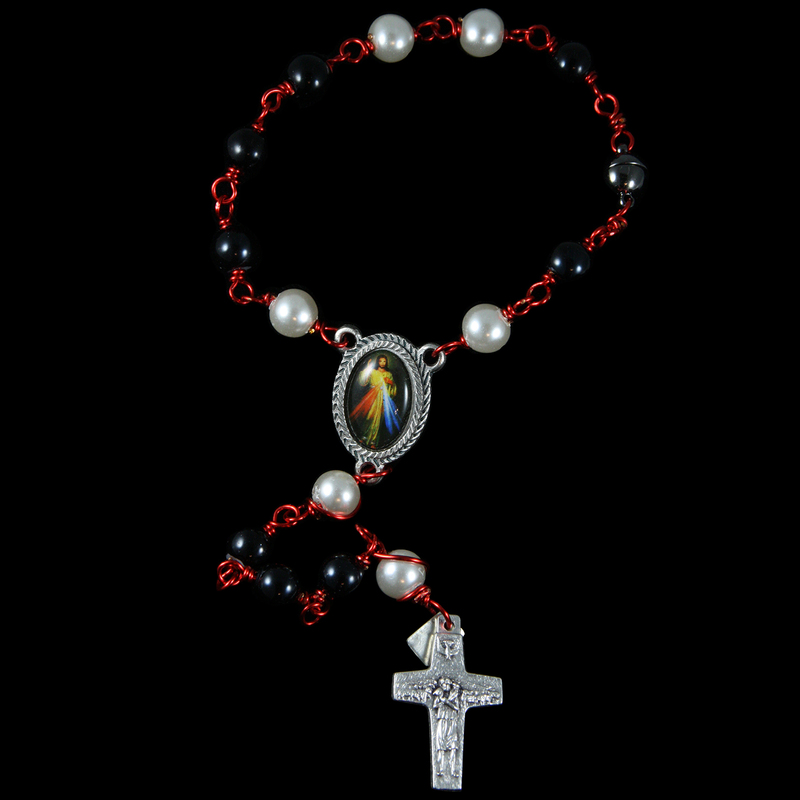 This Car Rosary is made with round sheen black U.S. made glass beads and round sheen white faux pearls. This piece has magnetic clasp fastenings and findings. 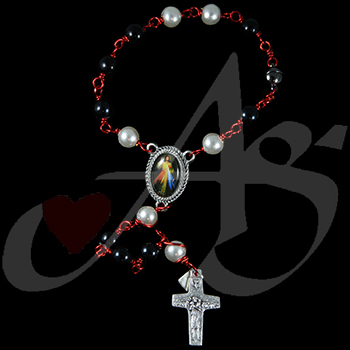 This item is decorated with a Pope Francis.